Jones Wholesale Bait, Inc. serves the needs of bait shops throughout the Lake Texoma region. 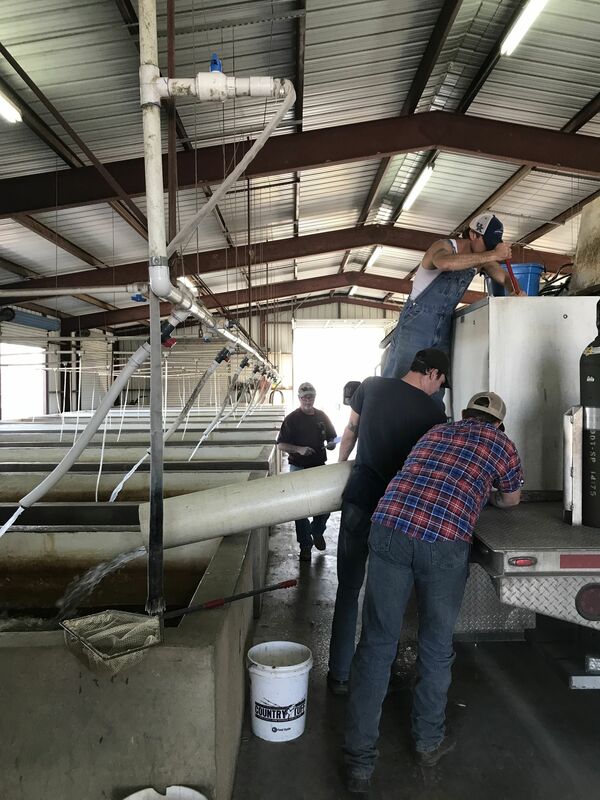 Through our regular route system we supply more than 50,000 lbs of minnows to bait shops each year. We maintain 20 vats, or stocking tanks, allowing us to meet virtually any size order from our retailer customers. Our modern facilities are equipped to hold and deliver our products in a safe and healthy manner, assuring our customers of the best quality bait for their customers. At Jones Wholesale Bait, Inc. we stand ready to share our expertise on developing and increasing your live bait business. Feel free to contact us with any questions or concerns. We're here to help.